With cheery brilliance and playful storyline, this hour-long ballet has engaging live story-telling and comical choreography . 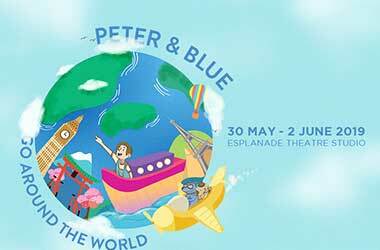 Interweaving the magic of fairy-tale and delightful dancing about the ever-inquisitive Peter, his dog, Blue, and his cat, Calico as they embark on a magical adventure across the world, the production will inspire creativity in little ones. Peter & Blue Go Around the World is part of a three-part ballet series created by Janek Schergen, dedicated especially for young children who get to meet the dancers and take photos with them after each performance. Approximately 1 hour with no intermission. Recommended for children of ages 3 and above. 11.00 a.m. and 2.00 p.m.